1. Preheat oven to 350°F. Line 2 cookie sheets with parchment paper. In a bowl, combine flour, baking powder, baking soda and salt. 2. In another bowl, cream butter and sugars using an electric mixer on medium speed until light and fluffy. 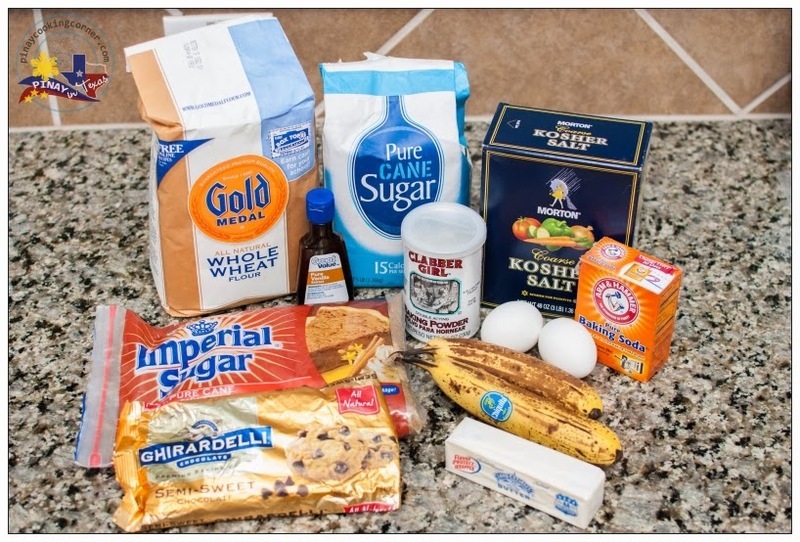 Add eggs, vanilla and mashed bananas,and continue mixing until well combined. Reduce speed to low. Gradually add flour mixture and beat until well incorporated. Stir in chocolate chips and walnuts/pecans (optional). 3. Scoop dough onto prepared baking sheet with proper spacing. Bake in preheated oven for 10-12 minutes or until slightly golden around the edges. Let the cookies cool a few minutes on the baking sheet. Transfer to a wire rack to cool completely. Store in airtight container. 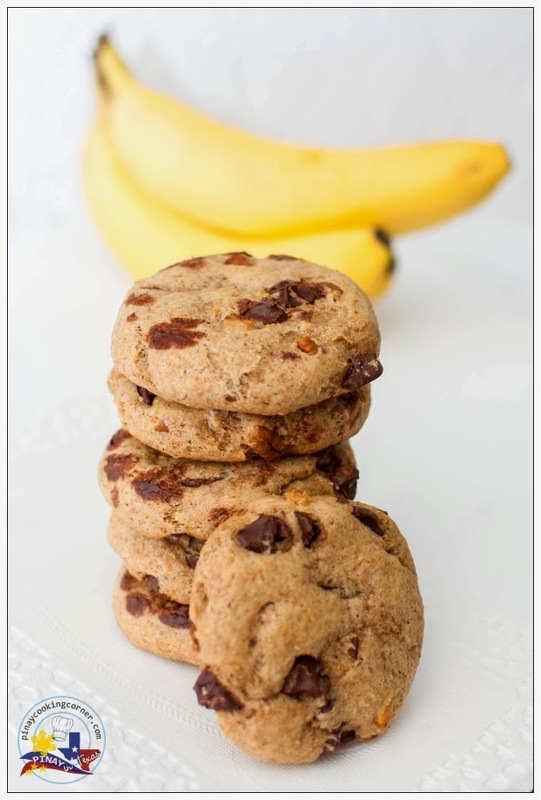 Haven't tried using bananas in cookies! Thanks for sharing! Bookmarked! 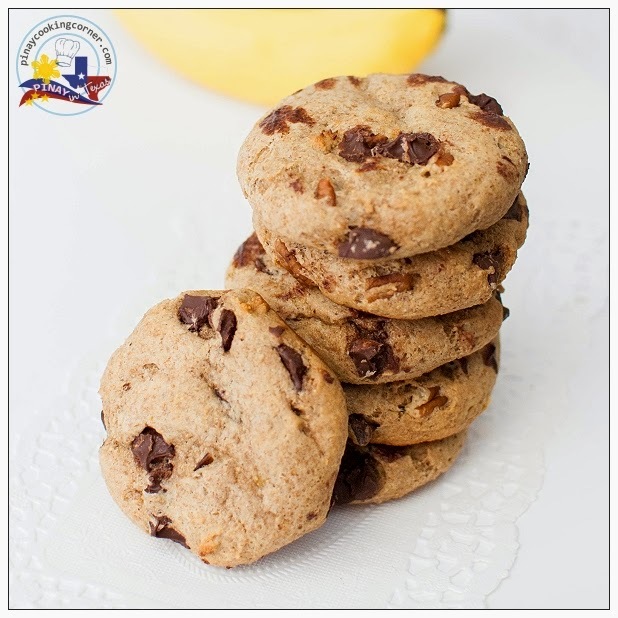 What a wonderful version of chocolate chip cookies! Will definitely try this! 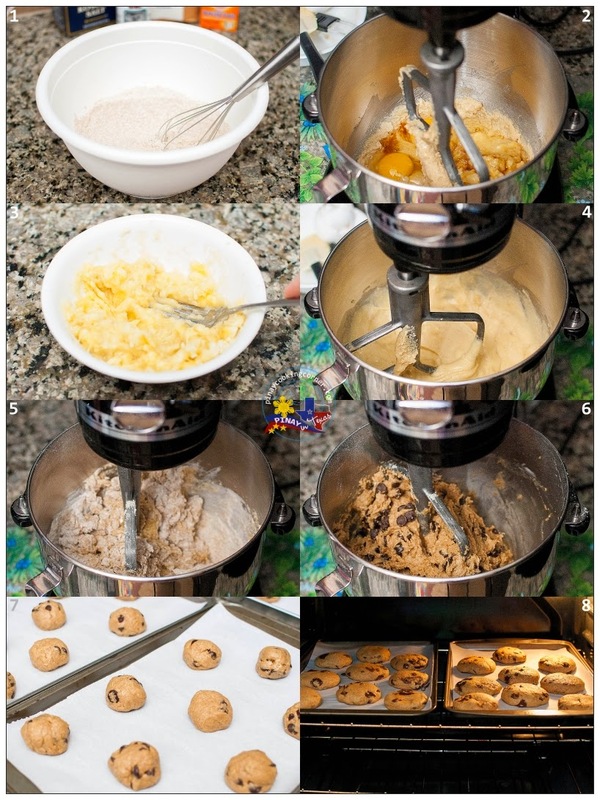 Very Delicious cookies i will try this at my home.